Lake Baikal is an ancient, massive lake in the mountainous Russian region of Siberia, north of the Mongolian border. Considered the deepest lake in the world, it’s circled by a network of hiking paths called the Great Baikal Trail. 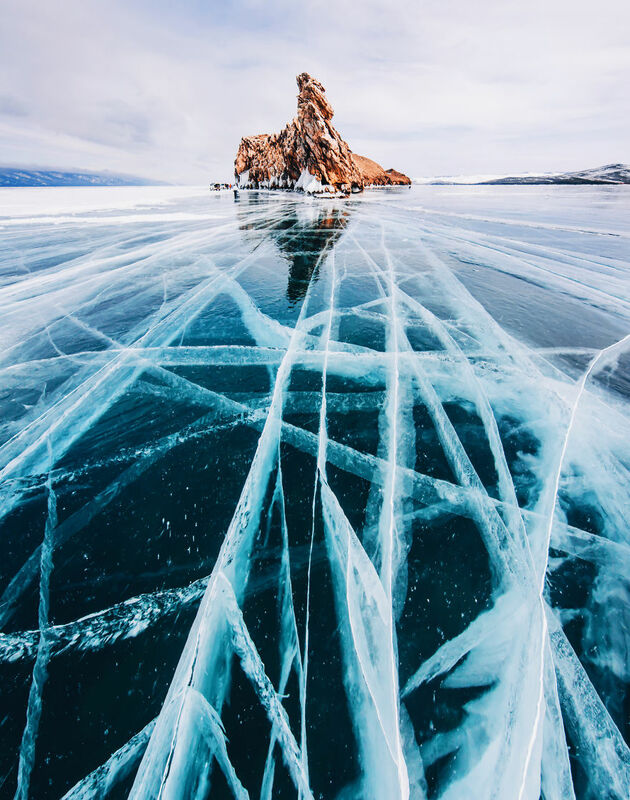 Thought to be the world’s oldest lake, Lake Baikal in southern Siberia is also one of the world’s deepest, and one of the clearest. These combined characteristics make it a prime location for photographers on any occasion. 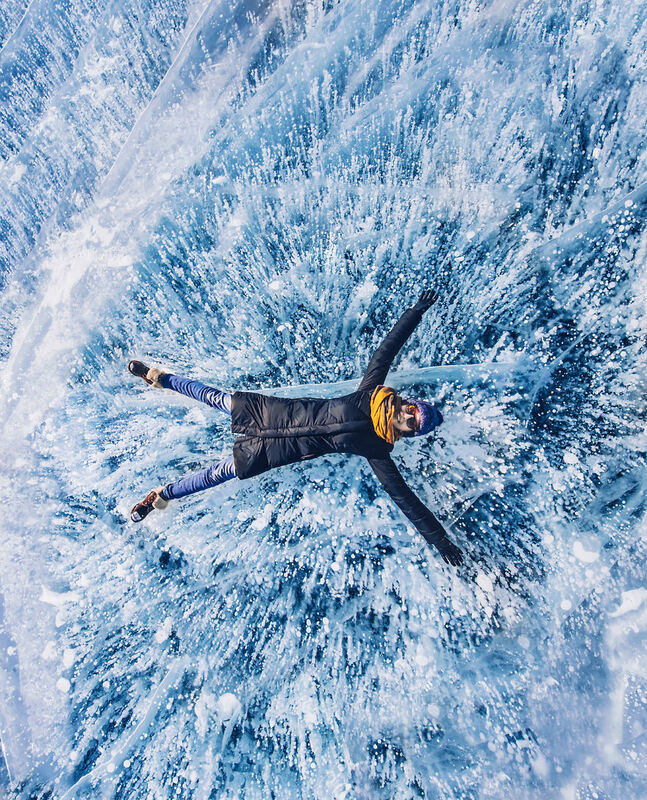 But photographer Kristina Makeeva took things a step further when she recently walked on the frozen lake for a set of incredible photographs. This freshwater lake reaches depths of 5,387 feet (1,642 meters) and freezes over to a thickness of 5 to 6.5 feet. It’s a lake that has historically been walked over during the winter, including by the Russian army in 1920 during the Great Siberian Ice March. 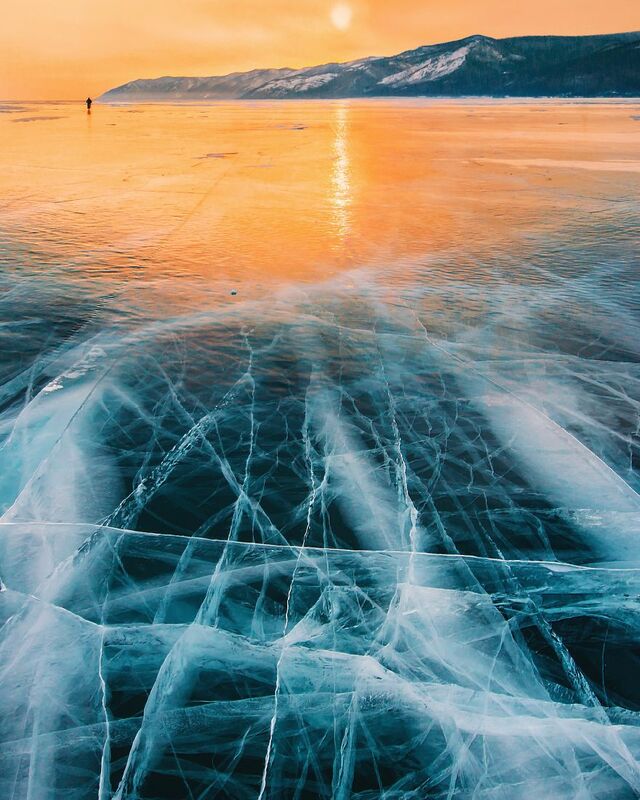 Today, people flock to Lake Baikal, some even setting up tents to marvel at the clear ice. Makeeva traveled to the area with friends, where she was pulled toward the lake by its enchanting beauty. The photographer describes her experience on Bored Panda: “In some parts ice is slippery like the mirror. You can shoot ideal reflections. A lot of travelers are moving about on skates, bicycles or sleds. Some of them are walking for several hundreds of kilometers and are sleeping in the tents on ice. Marvellous place. Very atmospheric. 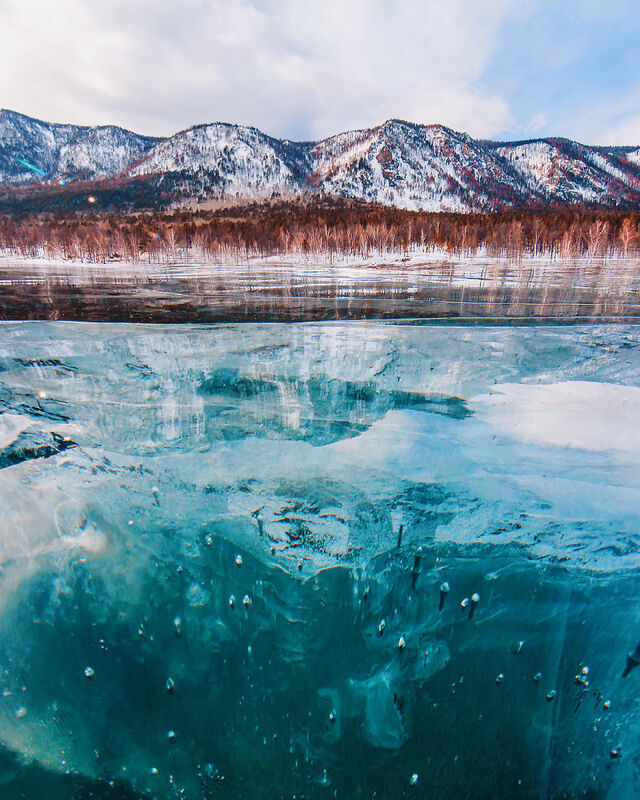 Frozen Lake Baikal in Siberia gives a clear view into the depths of its waters. And the bubbles we see? Like glass spheres frozen in time, they are actually caused by methane gas produced by algae in Lake Baikal. These little pearls are perhaps one of the reasons for the lake’s nickname as “the pearl of Siberia”. The lake also has an ice road that is open from 9 am to 6 pm. Running a little over 7 miles (12 kilometers), its maximum thickness is over 20 inches (60 centimeters). Prepared by specialists each season, the ice road is only open when optimum conditions allow for it. It’s a scene straight from a fairy tale, ripe for memorable images.